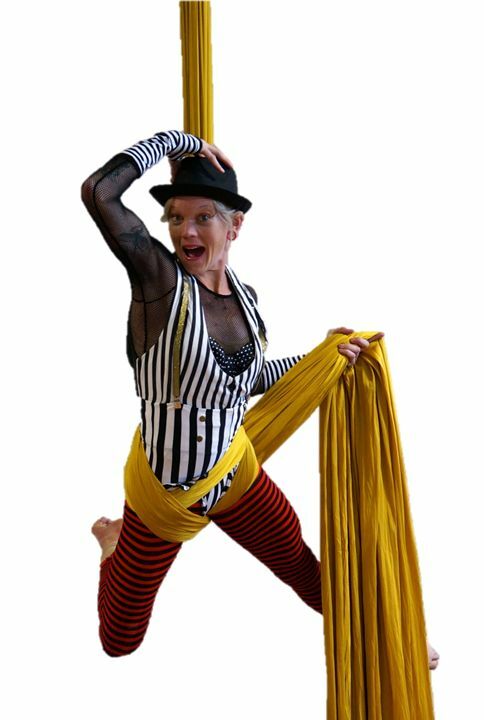 Kendall Knowles has been performing aerial arts for the past 12 years and has a passion for teaching students of all ages and abilities. Owner and lead instructor for Central Oregon Aerial Arts, she is also an experienced rock climber and outdoor enthusiast. Kendall teaches all levels of aerial silks from beginning to advanced, and can help you gain strength, confidence, and ensure you learn in a fun and safe environment! Kendall is also a member of the professional performance troupe, "Aura." Amberly SchreinerWood has been studying aerial silks since 2013. She is also member of "AURA," COAA's professional performance troupe and works with new students, teaching them how to fly safely. Lauren has been studying and training on aerial silks since 2013. A member of Level 2 aerial silks program, COAA's manager, and beginning silk instructor, Lauren has a passion for teaching new students how to fly safely. She has studied silks in Indiana, Montana, and Oregon and brings some fun and color to the studio. Peter LoVerso has more than nine years trapeze experience, performing and teaching on both coasts. He is dedicated to a variety of circus arts, including contact juggling, balance arts, and singles and doubles trapeze, and loves to teach and share his skills. He worked as an instructor at Simply Circus for three years before calling Bend, Ore., home.